This device needs to be plugged to the OneLink+ port of some Thinkpads, or even to the OneLink port (without the +) but with an adapter. 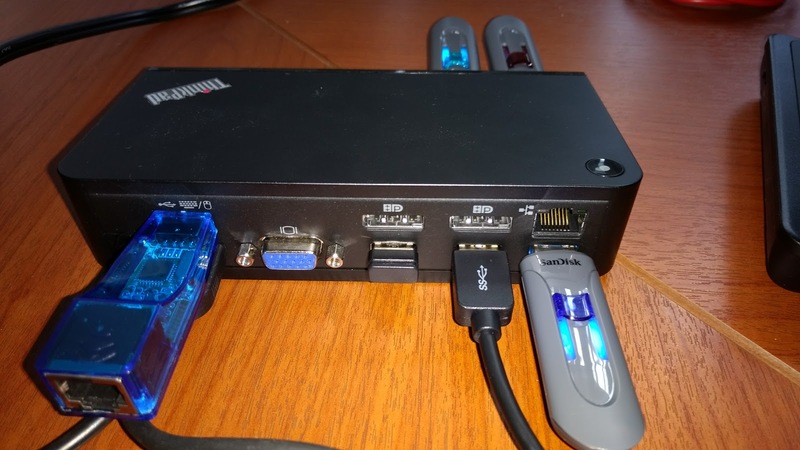 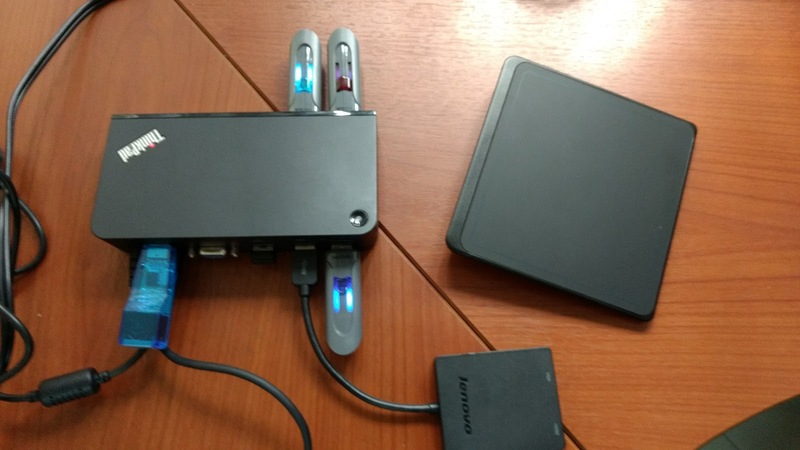 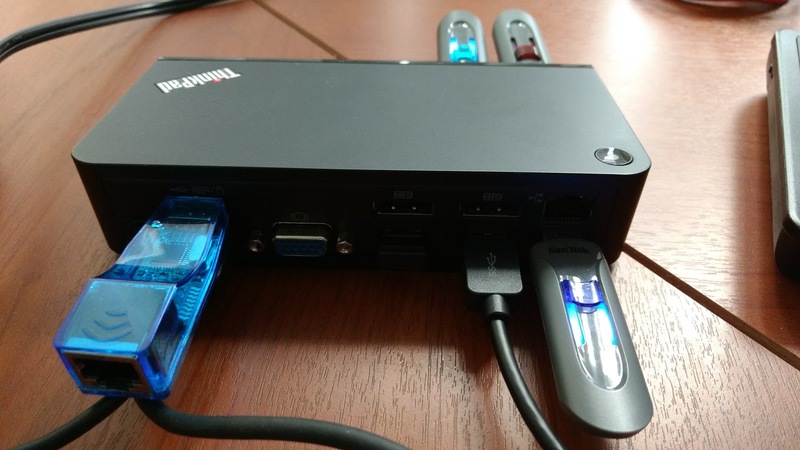 This device comes with its own power adapter, so it powers the Thinkpad machine, in difference of the USB dock model that does not power the laptop (obviously) . - Lenovo Drivers : v11016 - 9 Sept 2016. 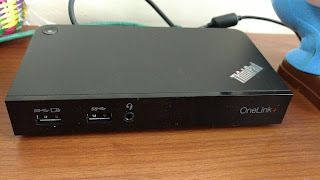 It has a Realtek chipset. 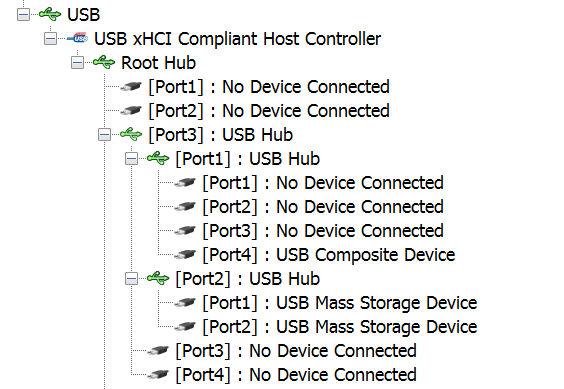 Also it see it as an USB-Ethernet device. 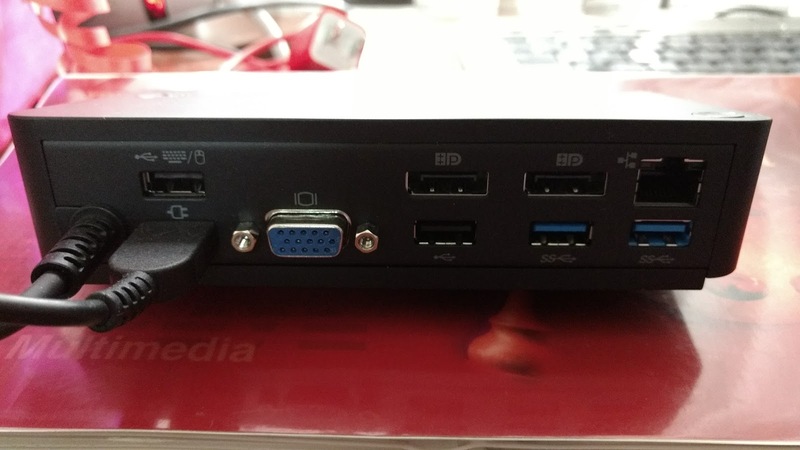 It has one VGA and two Display ports on the back. 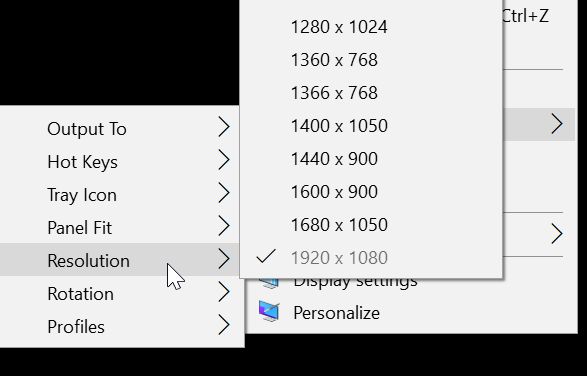 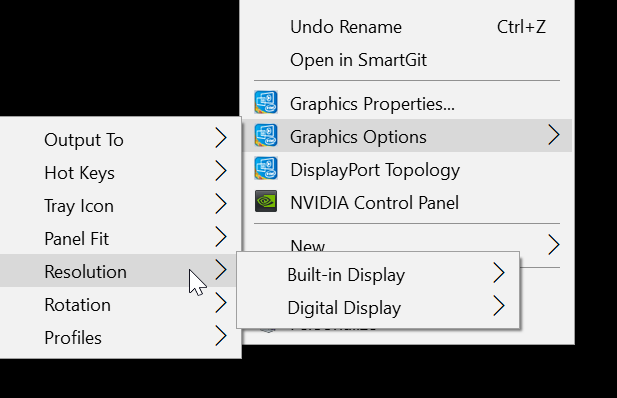 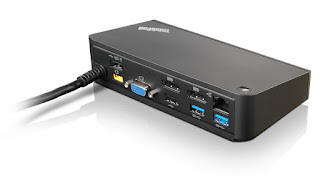 Lenovo has a great matrix of the supported resolution of the dock according to how many monitors you are plugging to it. 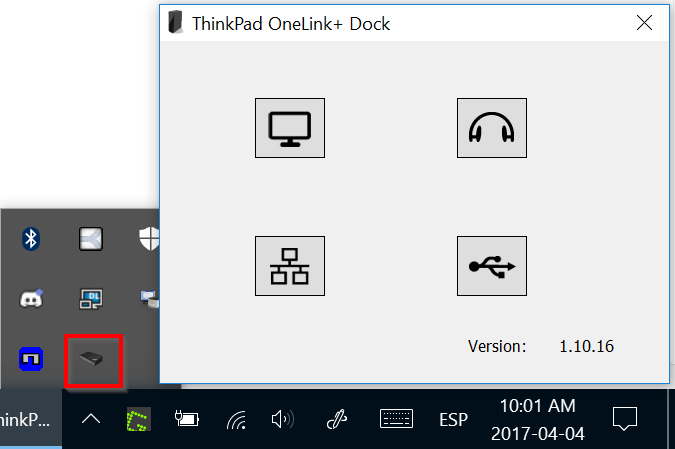 It is important to say that this dock does not has "DisplayLink" technology like a similar Thinkpad USB dock. This one depends on your installed Video chipset. 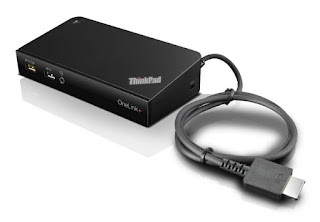 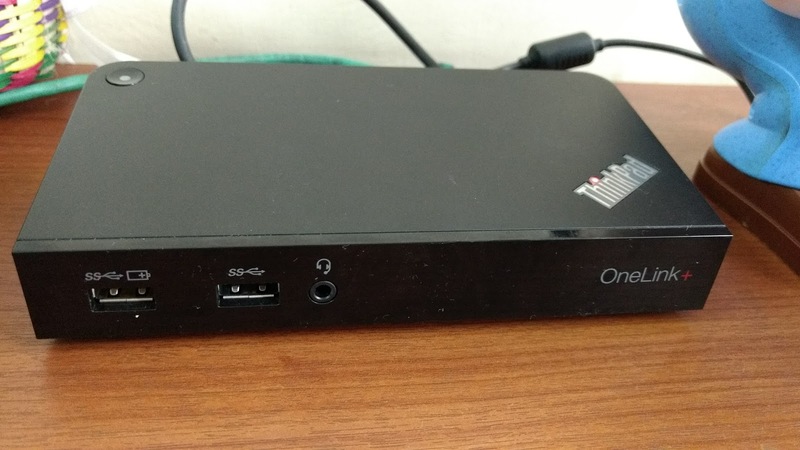 It is recognized as "Thinkpad OneLink Plus Dock Audio". 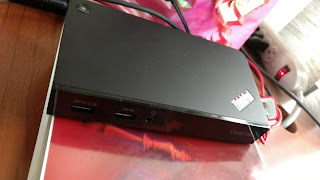 It seems to use a C-Media chipset. This seem to be also an USB Audio device. The Dock has 4 USB 3.0 ports, one of those has the battery logo and it is yellow. 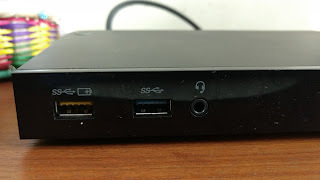 You can charge your phone on that "battery port" even is the laptop is disconnected from the dock. 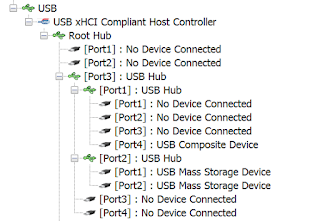 There are other two ports that are USB 2.0. On my Thinkpad, the OneLink USB port shows like the USB Port 14 and Port 3. Here it connects all the USB ports of the dock. 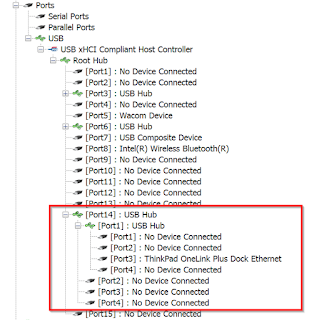 And it seems the recognized a Port 3 is also part of the dock. The Lenovo drivers also installs a little utility with Windows shortcuts to the video, audio, usb and network settings.